Jesus desires to be our one and only. Too often we turn to Jesus as an afterthought. He needs to be first in our lives. “We fit Jesus in, rather than putting Him first.” When Jesus is correctly positioned, everything else slots in. God’s timing is perfect. We must not rush His timing or we may miss out. 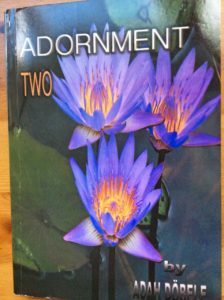 The Adornment Two is a marvellous book full of Godly truths and scripture. If we apply God’s words to our lives, we will be enriched. Bless you Adah Doebele for sharing the heart of God and His life lessons with us. “When Jesus is correctly positioned, everything else slots in.” So very true!! I’m not familiar with this author, but I love the premise of her book! !